We build relationships - everything you need is here. HOW it makes its profits? Here, it must be concerned about the impacts of the way it does business on its stakeholders, particularly marginalized and disadvantaged. WHAT it does with its profits? This covers all corporate giving activities that India has a rich tradition of. Having made profits, a socially responsible company must address the issue of how these must be distributed for the benefit of all its stakeholders (particularly disadvantaged) and in a strategic manner. Its influence on public policies. 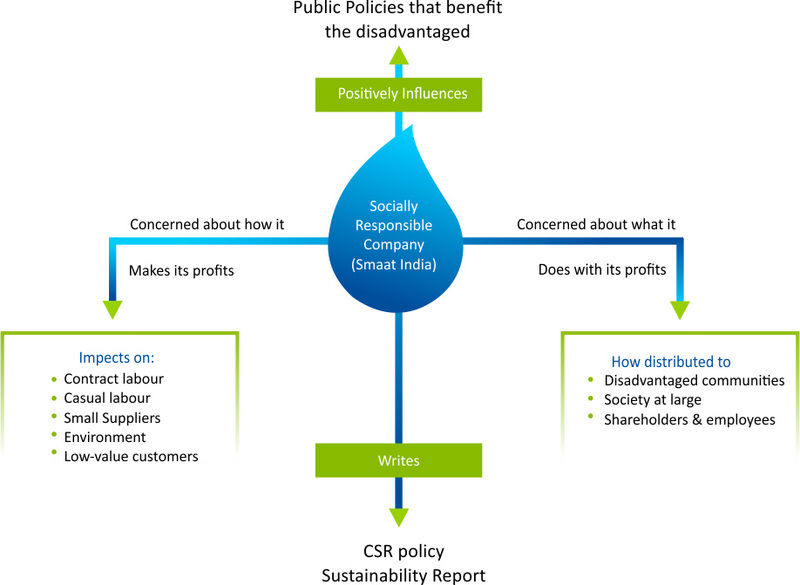 A socially responsible company influences public policies in a manner that benefits both business and society, particularly, those who are disadvantaged.